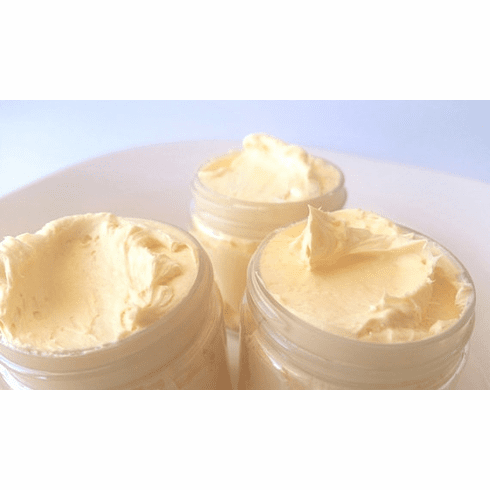 This listing is for 1.25 ounces of whipped shea body butter and comes in a 2 ounce container. Paraben and preservative-free. Extremely nourishing to skin and a little will go a long way. Ingredients: Pure shea butter, olive oil, hazelnut oil, apricot kernel oil, fragrance, and may contain natural colorant. Note: Peppermint body butter contains peppermint essential oil. Coffee and Chai body butter also contains cocoa butter.